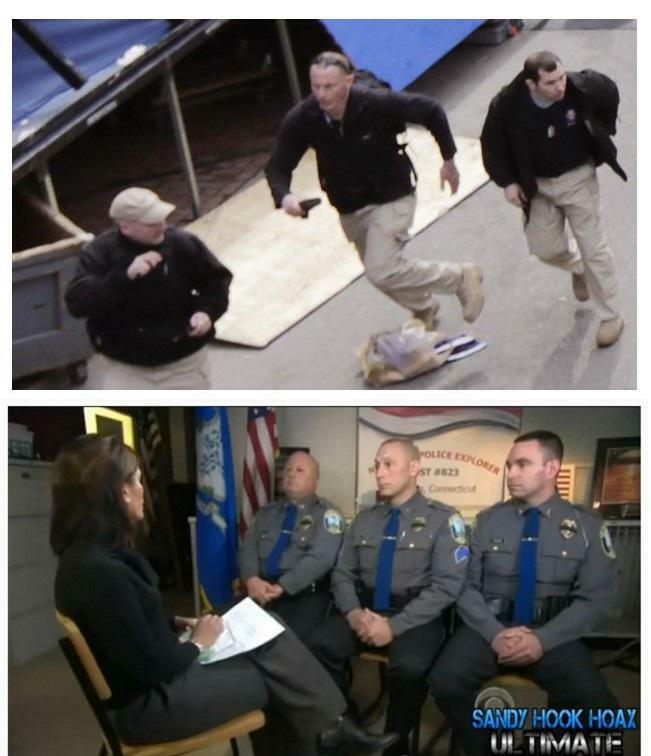 H/T Nena S and Todd H.
PPSIMMONS: How can it be that the same three men filmed at the Boston bombing are the same three men who were interviewed by the press at the Sandy Hook shooting? How can it be that that they are actually seated in the same order in the interview as we see them running the streets of Boston during the bombing? Boston Marathon Bombing Totally Staged - More Proof?